Banking on our capable professionals, we are engaged in trading and supplying Hydrogen Chloride Gas for our valuable clients. With the support of our vendors, this gas is accurately processed in strict observance with the global quality standards. This gas is used in the production of hydrochloric acid. Our provided gas is widely demanded in the market for its amazing features. Based in Ghaziabad, Uttar Pradesh, India, We "Ekta Enterprises", are pioneer in this profession since 1993. Our products is renowned for bringing an extra dimension of product innovation, customer reliance, and product quality to the air conditioning and refrigeration industry. As a result of our innovative spirit and product performance, people rely on our products every day. We literally touch the lives of millions. "Ekta Enterprises" puts science to work by creating sustainable solutions essential to a better, safer, healthier life for people everywhere. 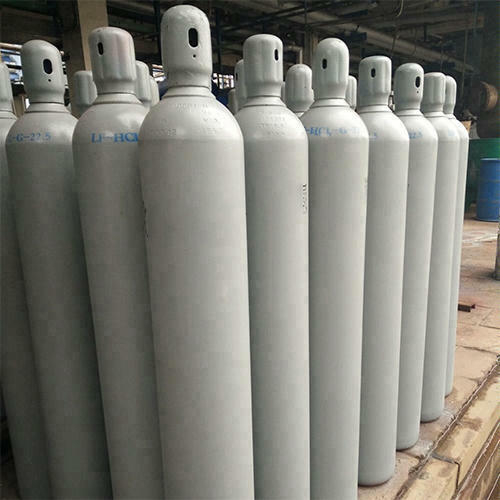 Our utmost objective, is to satisfy our clients by offering ultra pure range of gases.